Hello again! I’ve spent the last month in a dark cave, a cave devoted to a mission, a mission to make an Edinburgh startup successful through a trade show in Las Vegas. Not just any trade show, but the Consumer Electronics Show (CES), an annual extravaganza for the technology industry where dreams and hope go to be discovered! They also go to watch the newest 3D Televisions and play the latest video games, but that’s just a distraction. As was the Adult Entertainment Expo conveniently taking place at the same time, but nevermind. I really should have done a better job reporting live from CES, and apologies for not having managed, but I felt absolutely consumed by the whole experience (consumed… get it?). On the last morning, I could not find the strength to eat half a bagel – and believe me I am a big eater! Yet on that very afternoon I managed to speak with 8 distributors spread across the biggest exhibition space I have ever seen. Physically I was exhausted, but mentally I was determined. I’ve learned so many lessons the past few weeks I hardly know where to begin. I suppose I’ll tell the overall story and then offer insights as they pop back into my head throughout the week. 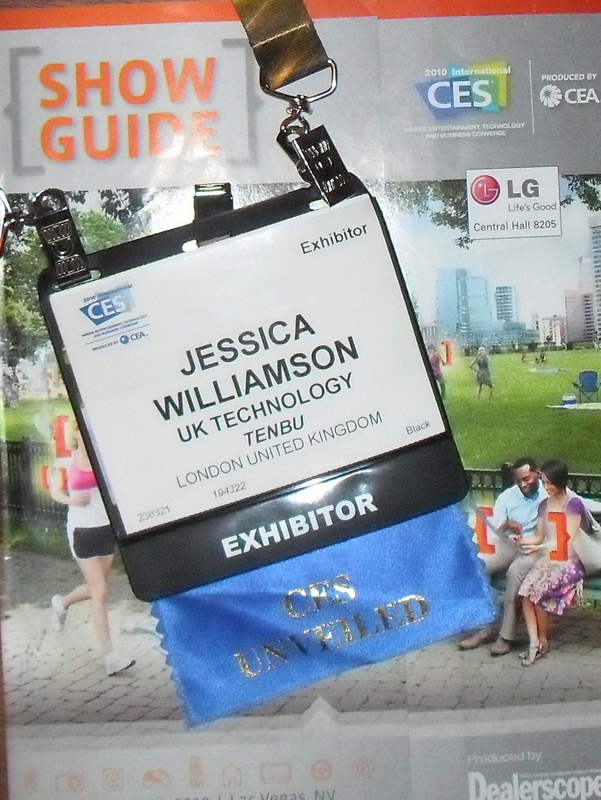 Applying: It all started mid-November, when I was forwarded an email that UK Trade & Investment was sponsoring exhibition space at CES for 10 UK companies. I figured I’d better apply, and as I wrote the application I became more and more convinced that we should be chosen to represent the country. Luckily the judging panel agreed, and at the beginning of December I found out that we were selected to go – we were one of 2 companies awarded a free flight as well. I was in Appleton Tower 6th floor meeting room at the time that I got the call, and I just started jumping up and down practically squealing as soon as I’d hung up. To be honest I couldn’t have told you exactly what we were going to get out of it, but there was something about winning that felt childishly delightful. Preparing: Now I’ve spent a fair amount of time here organising events for startups (Engage Invest Exploit, School for Startups, etc), and it was quite eye-opening to be on the other side of the fence. Suddenly the deadlines for company info, display materials, and registration seemed totally unrealistic, and I was not as compliant a participant as I would have expected. I certainly came to appreciate though how time-consuming the shortest descriptions can be, as I know I spent hours (!!) on our 100-word company profile – and a long time still on our 50-word version. I also fed the organising team a constant stream of questions to clarify logistics and what was required of us, which is the part that drove me crazy from the other side. Beyond everything that was concretely requested, my mind was occupied with preparing a journalist-worthy display, researching and contacting the distributors, and arranging logistics for myself and two colleagues to get to Vegas. Attending: The preparation was never-ending, but eventually it was time for the show to begin! This was my first time in Vegas, in spite of growing up in California, and as much as people had told me about CES it was all still pretty fuzzy. I was unbelievably excited, anxious, and mildly terrified all at once, though I tried not to admit the latter. 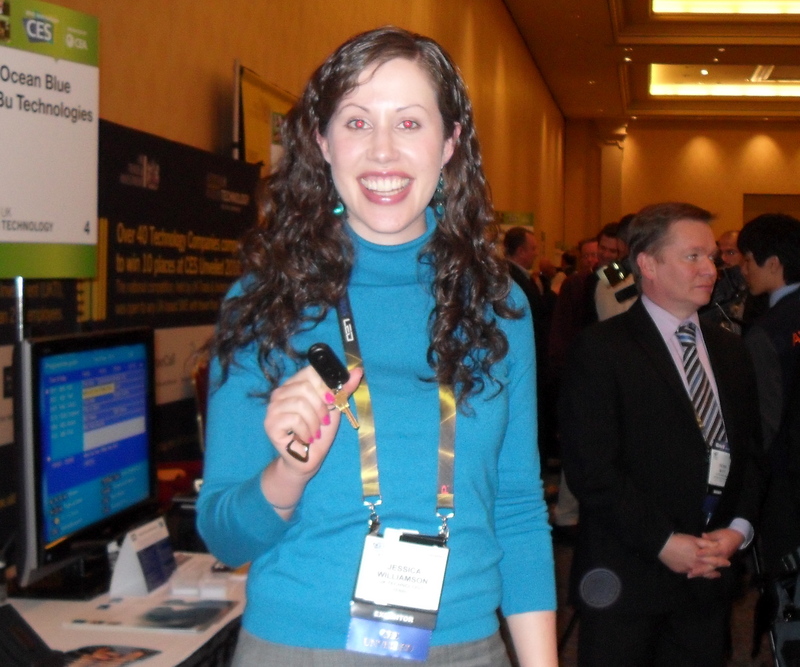 We had the honour of exhibiting at CES Unveiled (a 3 hour media frenzy for a select group of exhibitors), during which we got to demo, interview, and collect business cards to our hearts’ content. There was so much going on it’s hard to keep track of what actually appears, but some of my memories are speaking with a German radio station, an Austrian TV station, and filming with the PR team for Best Buy electronics stores. The 3 hours felt like as many days, but it was a terrific opportunity and a wonderful overall experience. I can hardly do justice to the rest of the show. We had one day of rest/preparation followed by 4 days of intense meetings, interviews, and shmoozing. There were half a dozen parties every night, but I’m sorry to disappoint – I skipped the nightlife scene for the most part in favour of playing penny slots on my own or having a quiet outing with a couple new friends. My mind could not handle crowd stimulation 24/7! That and we did catch the final round of the World Championship of Beer Pong on our first night, so it really could not get any better. Recovering: I’m not entirely sure yet. I’ve been completely obsessed with CES for the last 6 weeks, and I am acknowledging that I need to revitalise other parts of my life again. I have been rather self/work-absorbed and would like to catch up with friends without thinking about what emails are arriving while I’m away from my hard-working laptop. I’m also trying to fight my crackberry addiction, as I even missed a flight recently because I was sitting at the airport emailing compulsively (wake up call?). The challenge is that though I feel like I am waking up from a strange CES dream, the reality is that there are many, many opportunities to follow up with and conversations that have just begun. So that’s the context for any stories I later tell, or any lessons I try to share. The American Dream of success and fortune through sweat, tears and a bit of luck is still one I’m chasing, but as I reflect now during a jet-lagged night back in Edinburgh I do feel a whole lot closer. Did you make a sale or nail a dist’ deal?? What an exciting trip! Sounds very tough, but like you made the most of it! Can’t wait for more updates/stories later. Dist deal in the works, can’t say it’s nailed yet but fingers crossed! Have been missing AT8, will come by for the gossip soon… there’s only so much I can state publicly, haha. Haha if you find a way to stop the circles sensation, I’d love to know… we should have an Edinburgh trip out there next year – shall we start some fundraising bake sales?